(Manila, Philippines) It’s only a few more weeks until the toughest race in the nation, and athletes are girding themselves for another round of extreme triathlon action. Pushing the limits has never been so personal, so palpable, so potent, but for the second time in Cebu, it’s just another test of survival of the toughest. Now on its 5th successful year, Cobra Ironman 70.3 Philippines is back on the shores of Cebu for a one-day-only race this August 4. With more than 2,000 participants from all over Asia-Pacific, the country’s premier triathlon engages athletes in a 1.2-mile swim, a two-loop 56-mile bike course, and a 13.1-mile two-loop run course. “Cobra has been a long-time partner of Ironman 70.3 Philippines. From Camsur to Cebu, we have supported this sport and its warriors since it first started in 2009. We’ve witnessed how these athletes thrive, persist, and survive, and Cobra Energy Drink is proud to be celebrating another milestone of empowering their minds, bodies, and spirits,” imparts Abe Cipriano, AVP for Marketing, Non-Alcoholic Beverages. The Cobra Ironman 70.3 Philippines is a race like no other, which takes a lifetime to commit, months to prepare, and a day to conclude. Cobra Energy Drink takes pride in this adrenaline-rush experience where the mind, the body, and the spirit will be tested, and Cobra will be there to sustain the energy needed to survive this game. 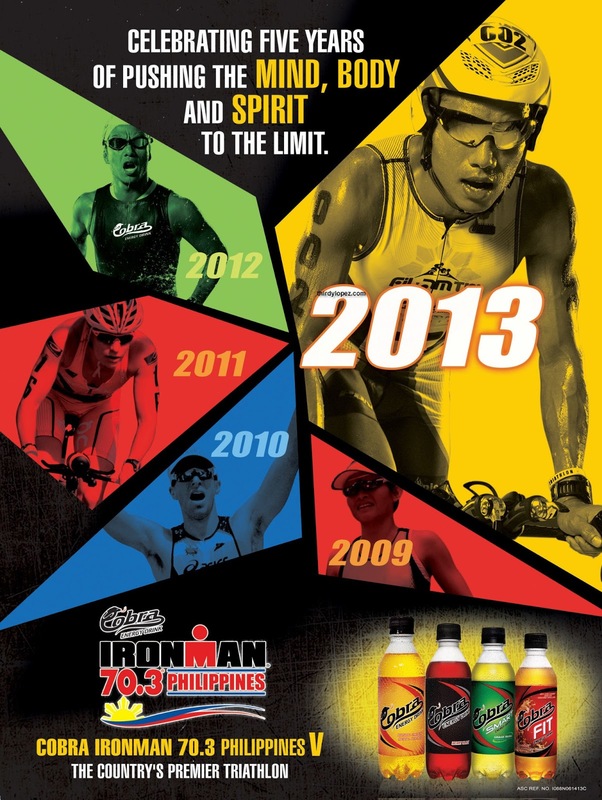 Cobra Energy Drink is a proud title sponsor of Ironman 70.3 Philippines leg for 5 years straight. Containing world-class B Vitamins, it powers up the body and the mind to perform any dynamic passion better, faster, and with sustaining power. Triathlete icons expected to join this year’s race are Alaska’s Fred Uytengsu, Fernando Zobel, Pia Cayetano, David Charlton, and celebrities Matteo Guidicell and Drew Arellano. Also back in the race are Cobra Ironman 70.3 Philippines titleholders Pete Jacobs, Cameron Brown, Mathieu O’Halloran, Bree Wee, and Belinda Granger. As well as the country’s own Filipino Elite Triathletes, Monica Torres and Arland Macasieb.